This entry was posted in blogpost, Patterns by honey. Bookmark the permalink. Hi, Tuesday, I am working on the gorgeous Cloudburst shawl but am a wee bit confused (more than usual)…the written pattern says 4DC but the graph shows only 3DC. Is 4DC correct? 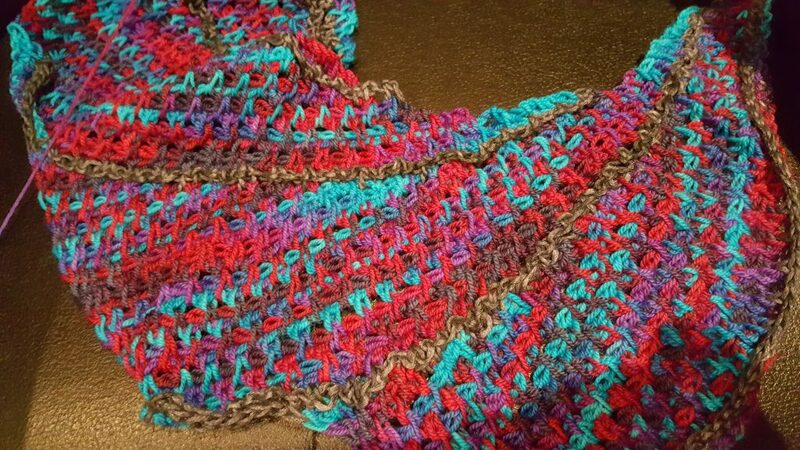 The shawl does seem to be getting wider very quickly. Thank you for your kind comments on the Cloudburst. I’ve checked my most recent copy of the pattern and the charts on that one show 4DC, so can I check you have the most up-to date copy? It should get wider very quickly – it’s a very shallow V-shape so to get that it gets broader very fast. Let me know if that doesn’t help and we’ll sort something out!